The first fruits of the threeA x Valve toy partnership we recently told you about have already been revealed. And in true collaborative style it's a proper crossover. 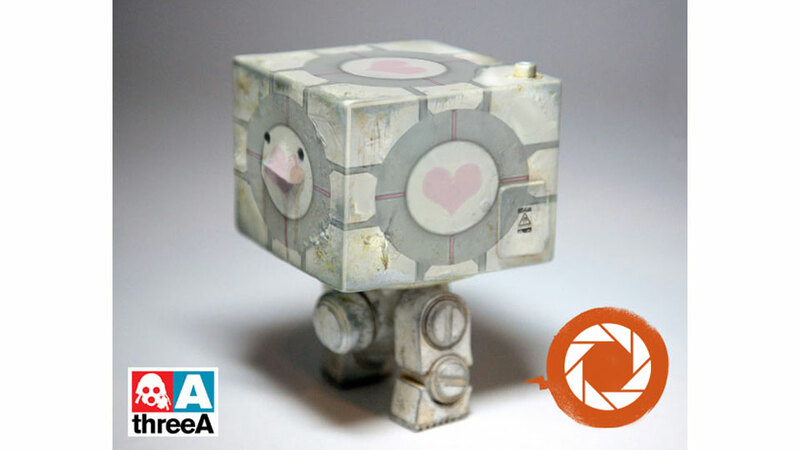 This creature is part-Companion Cube from Portal, part-Square². If you don't know what a Square² is, it's a little guy from Ashley Wood's World War Robot universe. If you don't know what the World War Robot universe is, boy are you missing out. so what was the first then? I don't want Valve's iconic characters/items mashed up with stuff I've never heard of. I just want Valve's stuff, made to a high quality.